Western Pacific was a railroad in transition on January 1, 1972. The resolute David in a marketplace dominated by Southern Pacific's Goliath, long perceived as the scrappy good guy who always tried harder, WP almost succumbed to its positive image. Brought down by the financial burden of the California Zephyr and changing traffic patterns in the post-Vietnam 1970s, the freight-only WP faced a life-or-death battle in an evolving economy. Along the way, the Feather River Route reclaimed the national spotlight by hiring one of the country's most-talked about railroad executives, Alfred E. Perlman. Surviving to merge with Union Pacific in 1982, WP's final hours were, in many ways, its finest. WP's family of Willing People are the stars of the show. Whether battling Sierra blizzards, working long nights on the Nevada desert, copying train orders, or looking at the world through the windshield of an F7, readers get to see the line through the railroaders' eyes, in colorful black and white imagery. 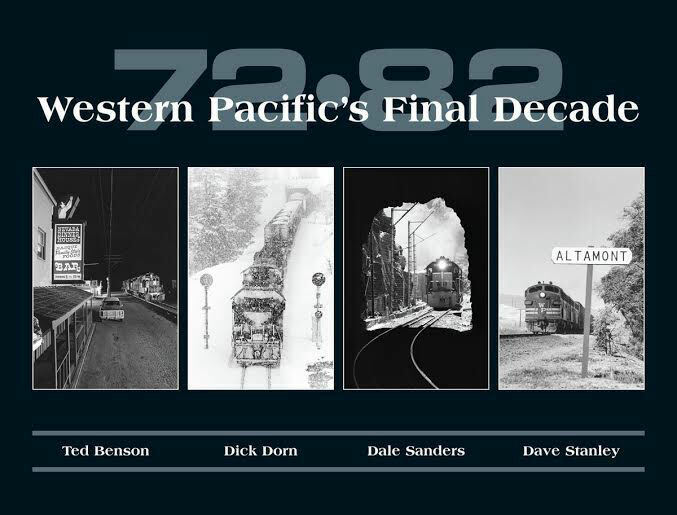 There was never a railroad like the Western Pacific; there's never been a book like 72-82. Hard cover.